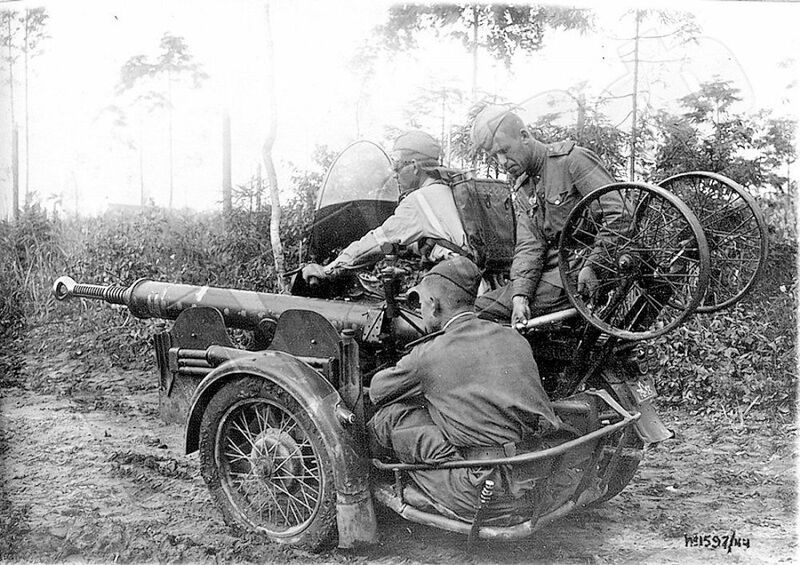 A short break before sweeping the burning motti in the background, 31 July 1941. "мото САУ". 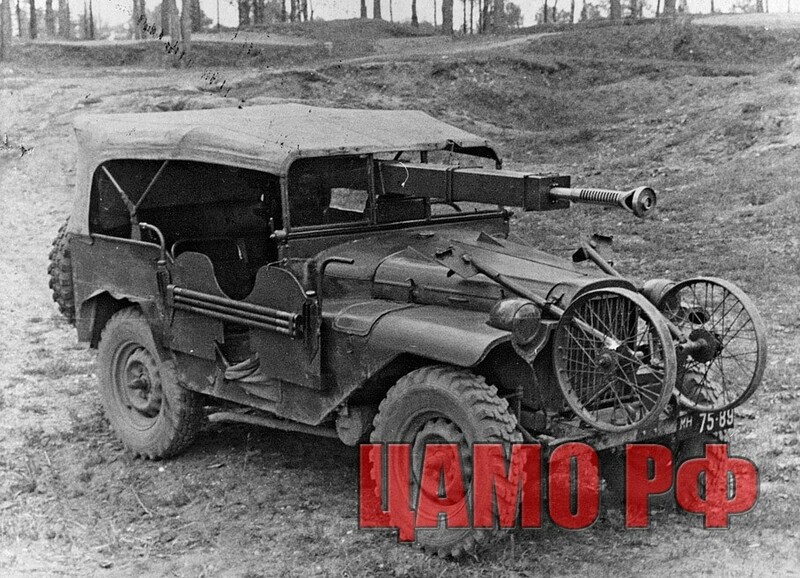 37mm ChK-M1 mounted on a lend-lease Harley Davidson. Cool, had no idea they lend leased Tetrarchs to the Soviets. It's weird tho, they still seem to have British 1st Armoured Division markings. Wikipedia says that barely any were used and the one's sent to the Caucasus were mainly used for propaganda footage. Maybe they didn't even bother re-painting them? It's weird tho, they still seem to have British 1st Armoured Division markings. 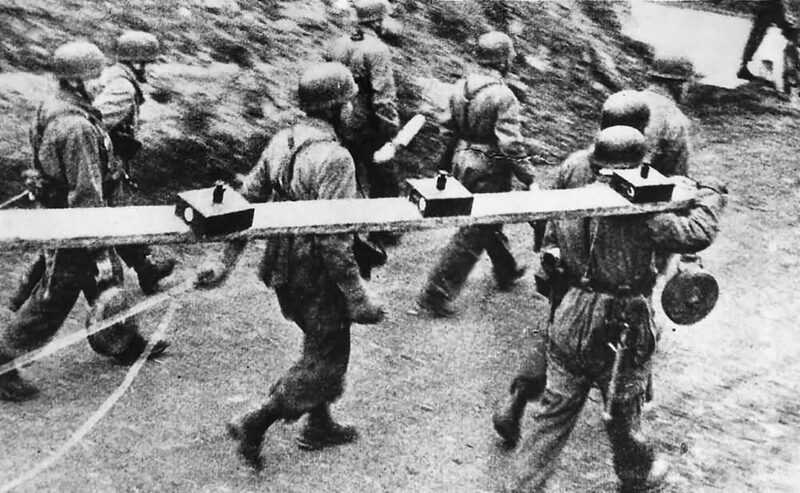 Wikipedia says that barely any were used and the one's sent to the Caucasus were mainly used for propaganda footage. Maybe they didn't even both re-painting them? This picture has been (mis)captioned quite few times in various publications. 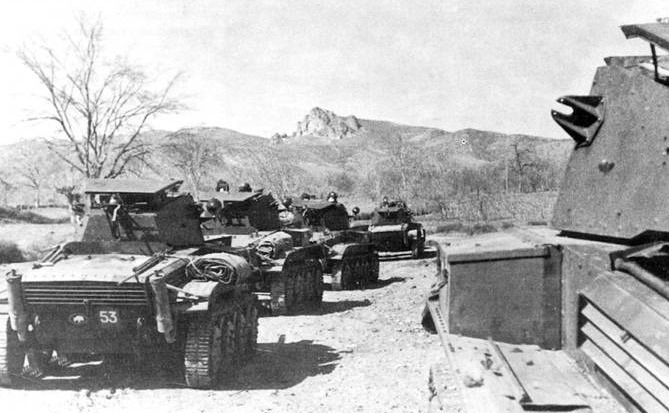 From one of the more recent articles: "Column of British tanks on the march. 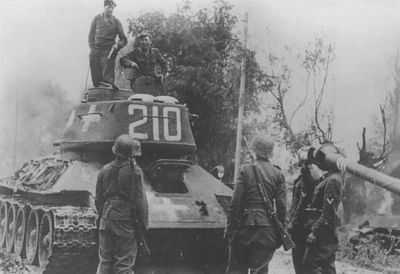 One tank clearly shows the insignia of the 1st Armoured Division and a 53 in a red square. This was an insignia used by the 10th Royal Hussars." That's an awesome article! but it's a bit confusing. Does this paragraph suggest that the photo is still taken in the Caucasus? ... a batch of Tetrarchs was finally sent to the USSR. The light tanks were the first to come through the south passage. On December 27th, 1941, 20 tanks arrived at Zanjan, Iran. This batch was also the last, since due to the rather humble characteristics of the Tetrarch, further orders were pointless. Photos and letters about this shipment indicate that at least a portion of the tanks were used. Among them were some of the first built Tetrarchs, T.9266, T.9267, and T.9268, built back in October-November of 1940. Photos of these tanks show insignia of the 10th Royal Hussars Regiment from the 1st Armoured Division. 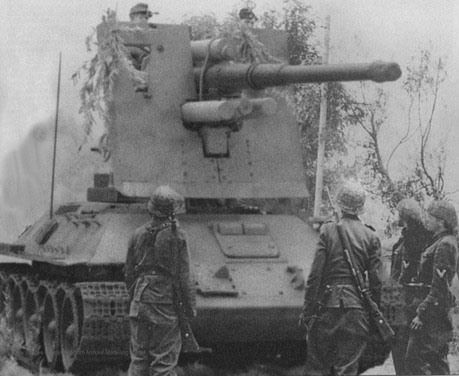 This unit was the first to receive Tetrarchs and used them as training tanks. To be fair, not all tanks sent were used. Serial numbers T.9315 and T9319 pop up in letters, and the tank currently displayed at Patriot Park has the serial number T.9328, all of which were built in the third quarter of 1941. These tanks had no markings and were not used as training tanks. tbh the background looks much closer to that region than somewhere in England. Maybe they received these tanks "used" and hadn't re-painted them yet? Trucks attempting to escape stopped by mines, 31 July 1941.